We had such a BLAST with Brandon and Noralie! Not only are these two incredibly sweet people, but they were up for every suggestion and always great to be around. We were thrilled to be filming their wedding day for them! San Francisco City Hall is one of the most amazing wedding venues—the architecture is stunning and makes a beautiful backdrop to such a memorable day. Brandon and Noralie, we are so honored to have created your wedding video for you, and we truly wish you nothing but the best in all the years to come! 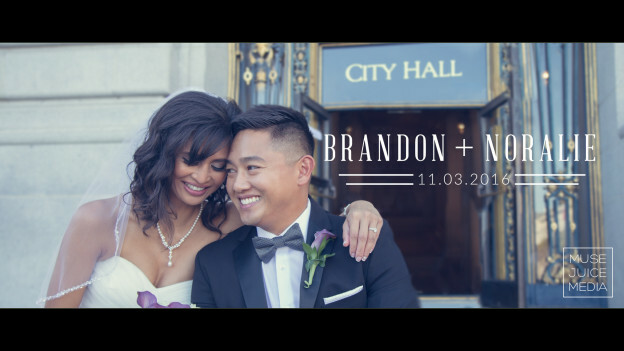 This entry was posted in Green Vintage Photography, San Francisco City Hall and tagged best city hall wedding, city hall videographer, city hall wedding, san francisco city hall on January 3, 2017 by christa.